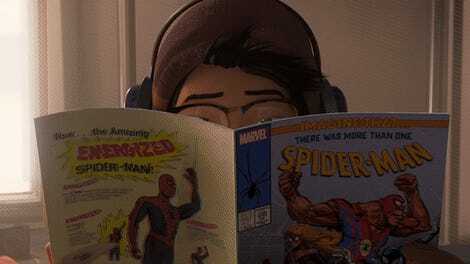 “He was simultaneously the most popular and the least popular character.” Spider-Man: Into the Spider-Verse co-writer and co-director Rodney Rothman said Spider-Ham was one of the hardest Spider-folks to get right because it was all about finding a balance between schtick and heart. This even led them to get rid of one of the best-received jokes in the entire film. 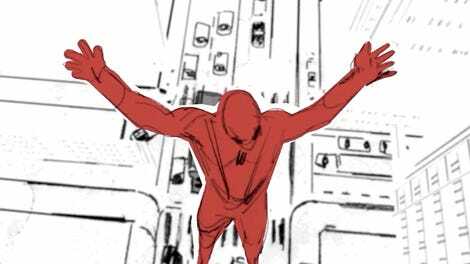 In an interview on The Q&A With Jeff Goldsmith podcast, Rothman shared some of the behind-the-scenes tidbits on creating the Oscar-nominated and Golden Globe-winning animated film, Spider-Man: Into the Spider-Verse. This included discussions about an early draft featuring a scene for Peter Parker actors Tom Holland, Andrew Garfield, and Tobey Maguire to play their Spider-sonas, but it was removed for being too confusing for the audience. However, one of the main tidbits involved the evolution of Peter Porker, the spider who was turned into the famous Spider-Ham after he was bitten by a radioactive pig. Spider-Ham was a highlight in an already stand-out movie. Voiced by John Mulaney, he had some great jokes but was also sweet and sincere. There’s a chance he could even get his own television spinoff. But according to Rothman, the character was “really controversial” during most of the production, and one of the hardest to get test audiences behind. Kids loved him, but parents hated him. He said this was partially because they were testing the movie using storyboards, which makes it hard for audiences to see jokes in context, but also because Porker got kind of annoying. Rothman compared early versions of the character to Fozzie Bear from The Muppets—an endless stream of one-liners that didn’t quite fit. Note how the restaurant is called Uncle Frankfurter’s. 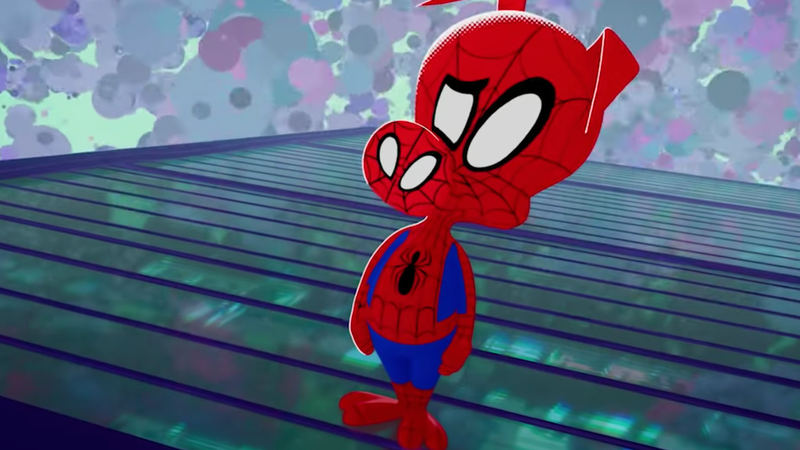 Rothman said Spider-Ham eventually started coming together but called it a “war of attrition to find the right material.” Sometimes, this involved adding new jokes or taking some away. 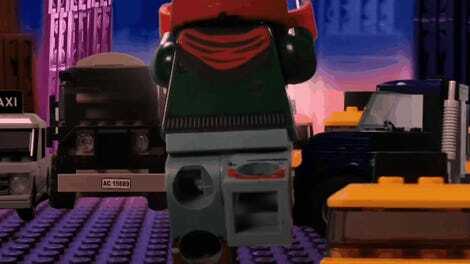 The biggest removal involved the dorm room scene between Miles Morales and the other Spider-folks. The scene stands out because it’s a rare moment of sincerity from Peter Porker, who tearfully tells Miles how they’ve all lost someone they care about and how that’s sadly part of the job. Until a month or two before the movie came out, that’s not quite how it played out. According to Rothman, this joke “would destroy,” getting some of the biggest laughs of the entire movie, partially because it was so shocking and surprising. And even though it elicited one of the best responses of the film, they decided to change it shortly before release (they kept the animation of Spider-Ham crying, but changed what the character was crying about). Clarification: The post originally said Spider-Ham started out as a man, but he was actually a spider. I apologize for the error.